Dinner today. 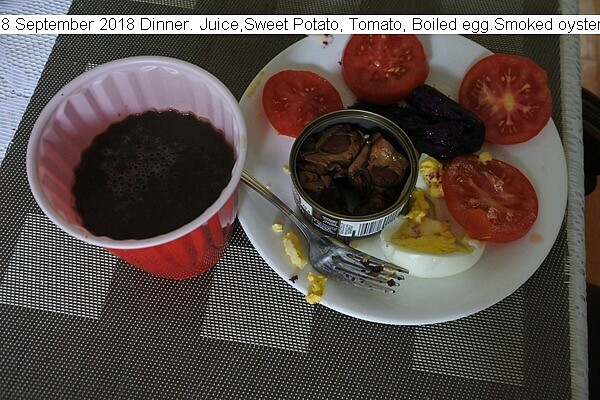 Sliced tomatoes, can of smoked oysters, baked sweet potato, hard boiled egg, glass of mixed juice. Shared with Ginny. She disliked the smoked oysters. This entry was posted in Uncategorized and tagged 8 September 2018 Dinner. Bookmark the permalink.